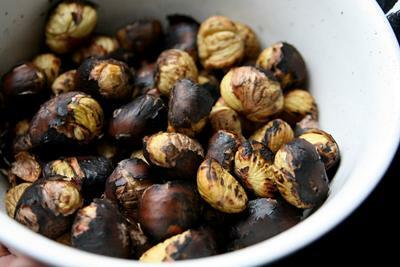 Roasted Sweet Chestnuts - tasty! 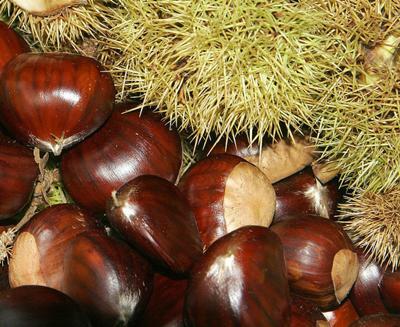 Autumn is here and we've just had a lovely afternoon in the woods roasting sweet chestnuts. There has been a prolific crop this year and they are just starting to fall properly. We got a fire going in the woods using feather sticks and a single match - a little trick I picked up on the recent Ray Mears survival course I went on. You take thin shavings down the side of a piece of dry split wood so that they end up in a dense curl of tight shavings. They light easily with a single match and a good bundle of such sticks can get your main kindling going with a minimum of fuss. We roasted chestnuts by raking some embers out to the side of the main fire, popping the chestnuts on top and then raking some more embers over and around them. The roasted really nicely and were very tasty! The only minor hazard were the occassional exploding nuts before we settled on slicing the skin of them down one side. 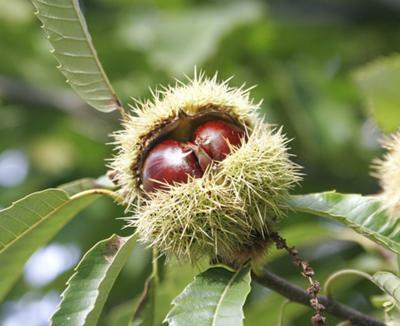 We'll be popping back again to collect a load more before the squirrels get them all.